Inspired to explore the potential of different media, I created my ‘Paper Cuts’ collection. While the fine art series continues with some classic Anna sources of inspiration (plants and greenery, of course), ‘Paper Cuts’ along with the collections’ newest sister piece, Botanica, play with the unique arrangement of non-analogous images and the concepts of time and place. Botanica (Commissioned limited edition piece for Lady Marmalade restaurant,Toronto) - Made with custom wood frame and resin finish (36”x36”). The creation of these pieces stimulated my interest in capturing immobile surrealism and inspired my latest piece, Botanica. This piece was a very special limited edition piece, going into the brand new location of Lady Marmalade’s delicious restaurant in Toronto’s East End. And for this unique placement of this special circular piece, it needed a slightly atypical finish for my work. Which is where the collaboration started with a dear friend and extremely talented female local artist — Christine Flynn! 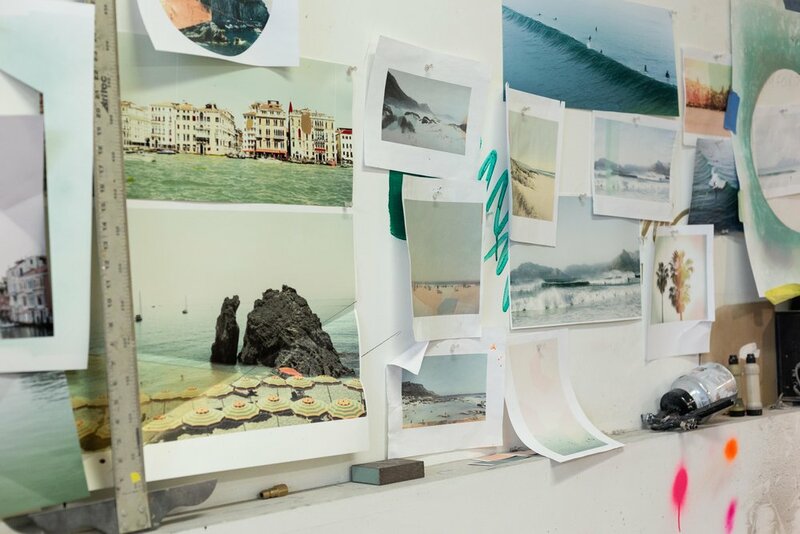 Christine Flynn specializes in using photography and mixed media to produce pieces that inspire nostalgia, all while grounding the viewer in the experience. 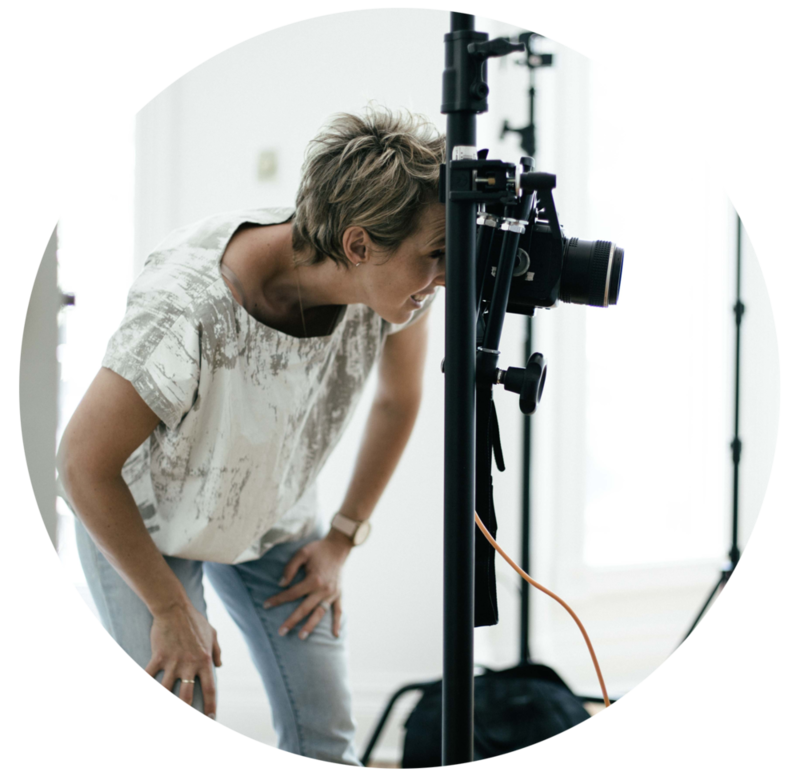 Adding organic and minimalistic abstractions to her images, Christine adds an absorbing depth to her art. 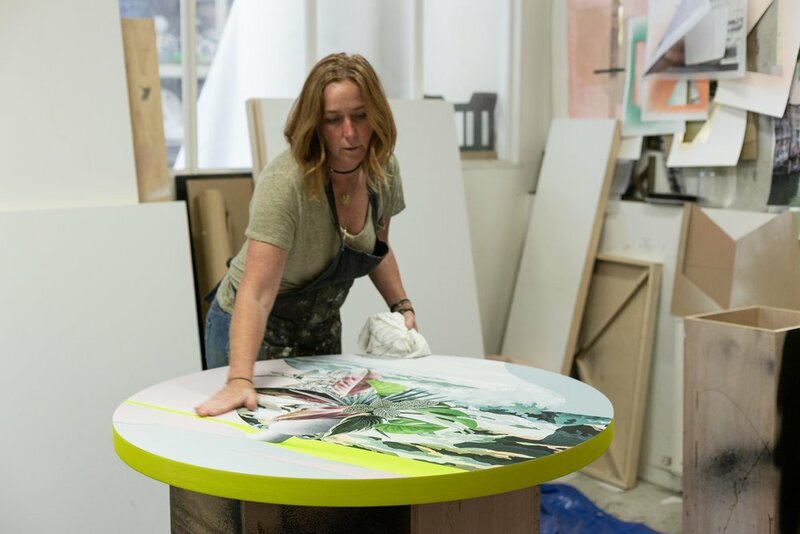 Her media of choice often involve including high-gloss resin or the addition of paint by hand to her images. So I dropped by her studio and the brilliant Christine gave me a hand with the finish of my piece. 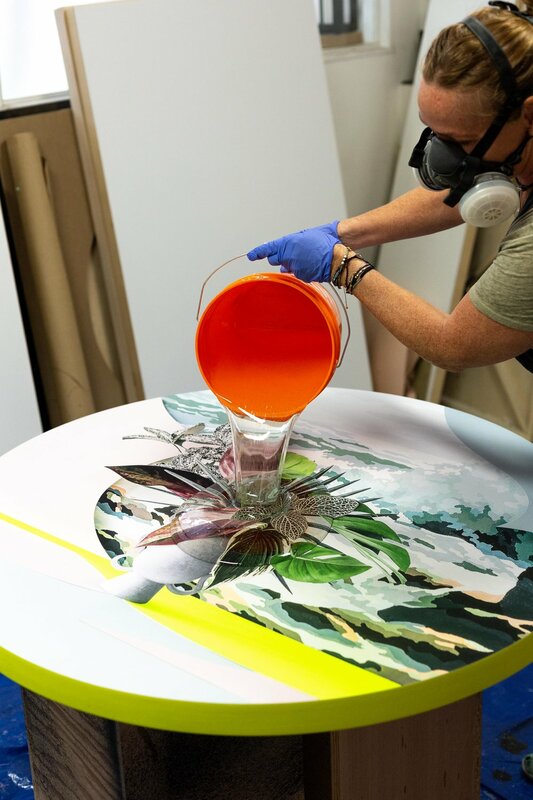 Working with a fellow female artist on the finishing touches has been a spectacular experience and has offered us the opportunity to fuse our skill sets to beautifully finish one of my largest pieces so. The process behind Botanica involved curating a collection of cut-out images with unique textures and photographing the ensemble with thoughtful use of natural daylight. Experimenting with the manipulation of light, colour, and scale, we were able to create a multi-dimensional and dynamic collage. Christine Flynn, prepping Botanica prior. No dust allowed! 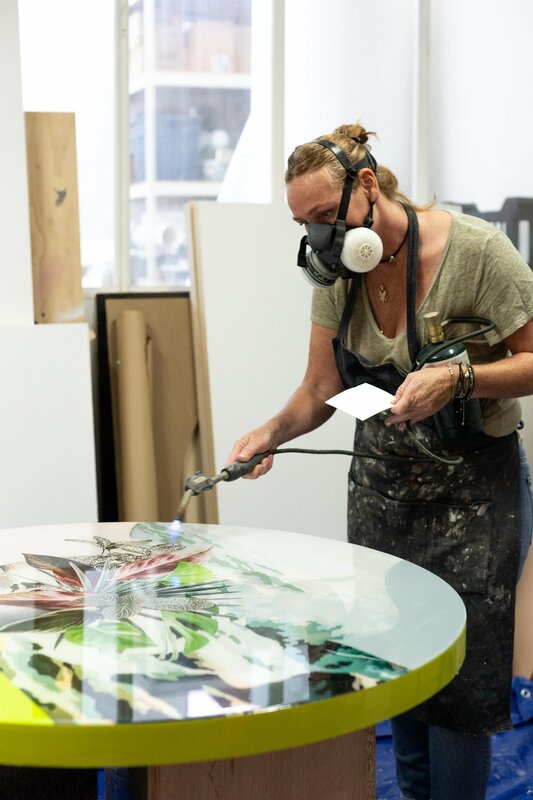 Christine’s sealed the piece with her signature coat of high-gloss resin. 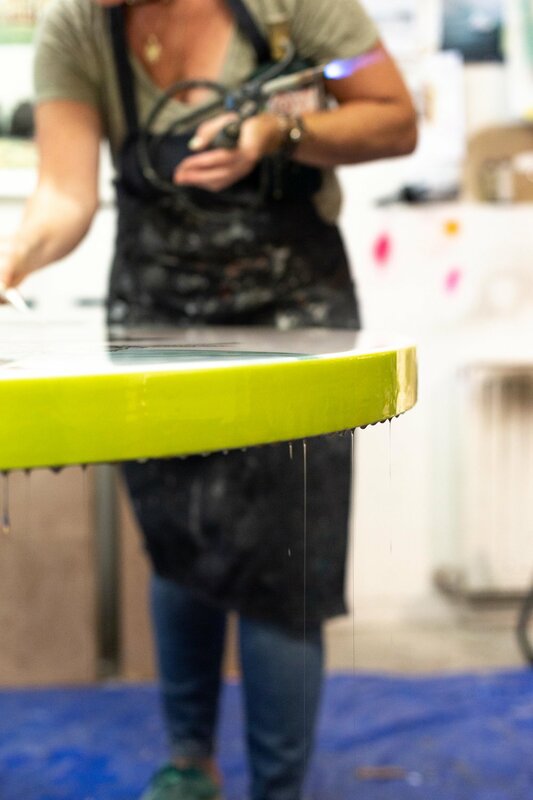 The coat of resin not only protects the print in what’s bound to be a high traffic area but most of all adds a certain naturalistic dimension to the piece that enthralls the viewer in the composition, encouraging them to get lost in the piece and explore the various textures and elements. My aim was to fashion a graphic portal through which viewers would be transported to an oceanic scene. While exploring the various elements, textures, and images, the viewer will be delighted with feelings of nostalgia and familiarity. For me, ‘Botanica’ exemplifies how the blend of passionate female talent allows for the discovery of new depths of intricate beauty. 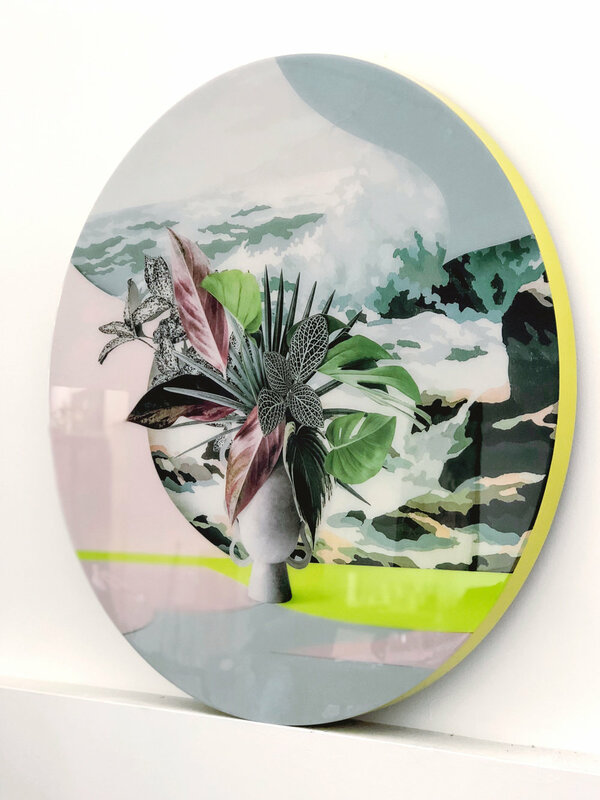 The piece itself is designed in such a way that it is enjoyed at a first glance but further expands in meaning and theme with ongoing viewings (which you can have over multiple brunches at Lady Marmalade – I definitely will!). On a parting note, I encourage all my fellow artists to experience the creative exploration brought upon by collaborating with other artistic souls. I hope you enjoy the latest work as much as I enjoyed creating ‘Botanica’!